I have significant experience working with adults, couples and young people. In addition to my private practice I have also worked as a counsellor within NHS Primary Care and currently run a service for 14 to 19 year olds in an educational setting. I have extensive experience with a broad range of issues including anxiety, depression, loss, trauma, relationship problems, work transitions and coping with change. I have additional training in Solution Focussed Therapy, group facilitation, Motivational Interviewing, CBT, MBCBT (Mindfulness Based Cognitive Behavioural Therapy), MBTA (Mentalisation Based Therapy for Adolescents), Sand Tray Therapy, Narrative Therapy, and Transactional Analysis. I am a qualified and experienced Clinical Supervisor. I work with trainees and qualified therapists,one to one and in small groups. I have particular experience supervising counsellors who work in education with young people and teaching staff. 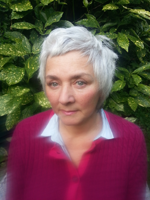 I am a registered member of the British Association of Counsellors and Psychotherapists (BACP) and a founder member of the London Counselling Collective. Before qualifying as a therapist I worked for 20 years as a journalist, writer and editor.